The passcode protects the stolen iPhone devices. If the thief is trying to unlock your iPhone, then he has to enter the correct passcode. Otherwise, your iPhone will be locked for a certain period and indefinitely if the limit exceeds. But, how the thieves unlock a stolen iPhone without passcode? We are not the expert, and we are not interested in knowing their tactics. But, all you should know is how to unlock a stolen iPhone passcode. If you are pranking your friend and want to access his locked iPhone for the purpose, then you should know how to unlock an iPhone passcode. There are many legit ways to unlock the iPhone without a password. Many people forget their passcodes and face difficulties recovering the same. That’s why Apple has introduced some legit ways to bypass passcode in iPhone and unlock it without the passcode. In this post, we are going to share some working solutions to unlock the iPhone without a passcode. How to Unlock a Stole iPhone Passcode? There are multiple methods to unlock the phone without a passcode legally. Many people forget the passcode and face difficulties using their account without the same. Also, some people, who’ve recovered their stolen iPhone find out that the original passcode is changed and they don’t find any way to unlock the phone. We are sharing the working solutions to help such people who want to unlock iPhone without passcode within a few minutes. You cannot bypass the passcode unlock, but you can reset the passcode to gain access to the device. All you have to do is to enter into the recovery mode and then reset the device from the iTunes. 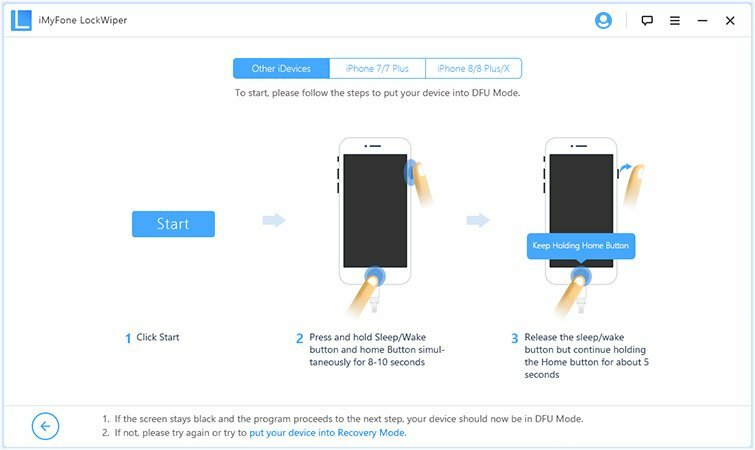 Here are the exact steps to enter into the Recovery Mode and then reset the device. First of all, Switch off the device and connect it to the PC in which the iTunes software is running. Now, Press and release the Volume up and volume down buttons one after another. In the older versions of iPhone, you have to Press and hold the “Power Button + Volume Up + Volume Down” buttons simultaneously. After that, press and hold the Power Button till the iPhone enters into the Recovery Mode. Once the device is in the recovery mode, you’ll see the “Restore or Update” option on the Computer. Choose the “Restore” option, and the device will restore to the factory settings. After the restoration is complete, set up the device and new passcode. If you are unable to restore the phone with the iTunes software, then you need the help of third-party software programs. 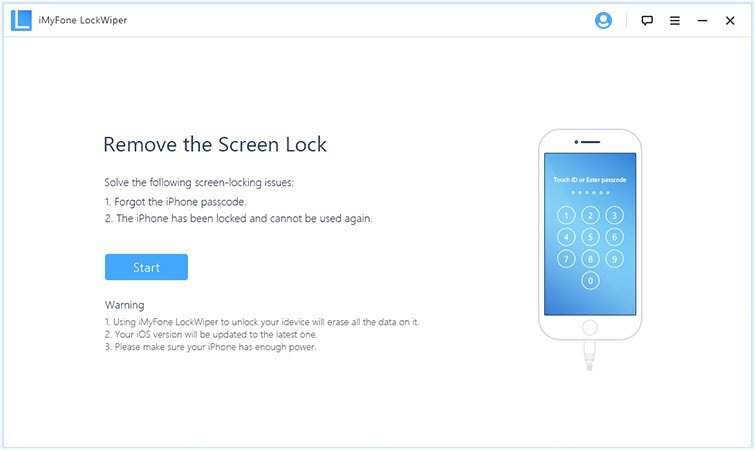 The iMyPhone Lock Wiper is one such dedicated iPhone passcode eraser software, which does the perfect job in unlocking the device without entering the passcode. Here are the steps to download and use the software to unlock iPhone without Passcode. 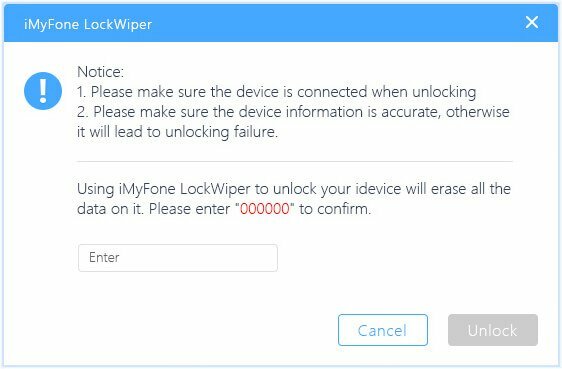 First of all, download the iMyPhone Lock Wiper software program from the official website. Now, install the software and run it on your computer. 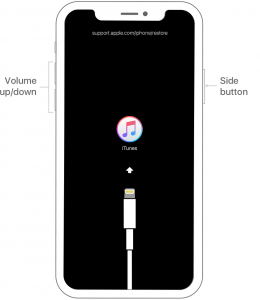 Connect the iPhone to the computer while the software is running. Once the software detects the connected iPhone, click on “Start” to continue. Now, you have to follow the on-screen instructions to enter into the Recovery Mode. 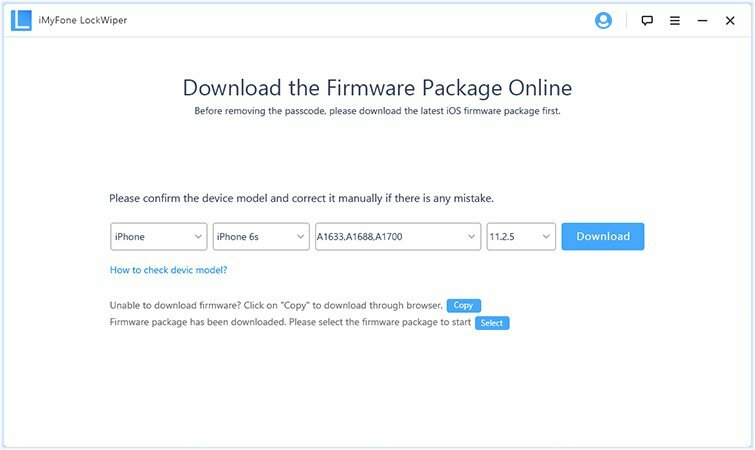 After the completion of the Firmware download, press the “Verify” button and then click on the “Start Unlock” button. Now, you have to enter the new passcode. Enter “000000” in the text field and click on the “Unlock” to start the device unlock process. The entire process will take a few minutes so be patient and don’t disconnect the iPhone from the computer. Once the process is finished, Your iPhone will boot, and you should perform the first-time setup to start using the device. So, these are some of the best and working methods on how to unlock a stolen iPhone passcode. For all of these methods, you need access to a computer. If you don’t have one, then you can ask your friends to borrow the computer for a few minutes. Also, you can visit the Authorised Apple Customer Service center to get this job done for a small fee. I hope you’ve learned how to unlock iPhone without Passcode and will try these methods in case of an emergency. Use these solutions wisely and get rid of the Forgotten iPhone Passcode problem.